This post has two parts: my response and some resources for teaching about Ferguson. Feel free to skip ahead to the resources section. Also, where does one begin? Can’t exactly open with a joke. Q: What’s the Ferguson police’s motto? A: To protect and to serve… white supremacy. And NO, this isn’t funny. It’s simultaneously sad and infuriating. I mean, surely I am not the only person wondering why the entire Ferguson police force has not been disarmed and dismissed? Yes, after the establishment of a competent police chief and responsible hiring practices, ex-officers would be welcome to reapply for their former jobs. But, at present, the police force there inspires no confidence whatsoever, and represents an ongoing threat to public safety. Indeed, in my fantasy solution, the United Nations sends in peacekeepers to Ferguson. I picture Canadian soldiers wearing those baby-blue UN helmets. They could protect the citizens from the local cops, until Gov. Jay Nixon and Missouri get their act together — which, frankly, means that the UN troops would be in Missouri for a long time. You see? I start to write, and then that turns, first, into a rant against the corrupt cops who delayed naming the officer who murdered Michael Brown for jaywalking, in order to grant themselves time to construct an implausible alibi — an alibi that quickly unraveled (because Darren Wilson didn’t even know about the robbery at the time he killed Brown). Second, it turns into an anguish I cannot articulate. Michael Brown. Eric Garner. Ezell Ford. John Crawford. Trayvon Martin. But also…. James Byrd Jr. Addie Mae Collins, Cynthia Wesley, Carole Robertson, and Denise McNair. James Chaney, Andrew Goodman, and Michael Schwerner. Medgar Evers. Emmett Till. And less well-known people like Recy Taylor. And the many, many other victims of American racism — an institution as old as the republic itself. The myth of America is that it’s the land of the free and the home of the brave. The truth is that, for most of its history, America has been a white supremacist police state. Most people have bought into the American myth so thoroughly that when you confront them with this fact, they refuse to acknowledge it. So, let me rephrase this: for most of American history, people of color have had no rights that white Americans were bound to respect. For the sake of argument, let us make the provisional (and demonstrably false) claim that the Civil Rights Act of 1964 and Voting Rights Act of 1965 “ended” racism. Were that true (and it is not true), then we would have 50 years in which African Americans had rights — well, sort of. Or more rights than before 1964 — um, usually. The common date for the United States’ founding is either 1789 (adoption of US Constitution) or 1776 (Declaration of Independence), but we could also use 1619 (first enslaved Africans brought to Jamestown) or 1492 (when Columbus “discovered” a continent where people already lived, and so helped kill them via smallpox-infected blankets). So, let’s do some math for each date. The percentage at the end represents the amount of American history during which people of color have had some (although certainly not full) civil rights in the U.S.
50 years of partial civil rights — or what we might call “racism lite” — is a piss-poor record for a nation that promotes itself as the world’s greatest exemplar of democracy. What’s more, President Obama’s election seems to have inspired a renaissance in American racism. He gets elected, and then all the racists come out in full force. There’s the structural kind of racism, such as the Supreme Court’s gutting of the Voting Rights Act, or the fake “Voter Fraud” laws designed to disenfranchise minority voters, or Stand Your Ground laws (applied unequally to white gun-owners and black gun-owners). And then there’s the more personal kind, like the many racial caricatures of Obama or, yeah, whites who murder blacks and get off scot-free. I don’t mean to suggest that Obama’s election and re-election indicate no progress whatsoever since the founding of the republic or even since 1964-1965. Even when he won the presidency in 2008, the notion of a president of color was literally unimaginable to many people — and that’s people of all backgrounds and political persuasions. I know liberals who supported Hillary Clinton in the primaries because Americans would never elect a black president. 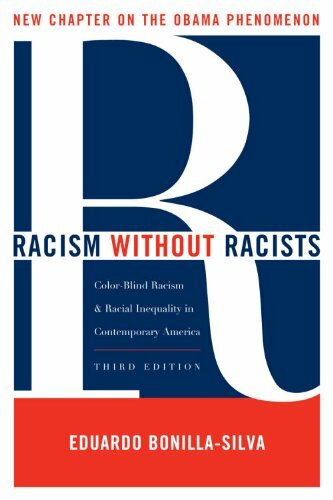 Instead, I mean to suggest that the success of Obama has helped usher in a new era of “racism without racists” (to use Eduardo Bonilla-Silva’s term), in which the successes of a few people of color get used to deflect attention away from the persistence of structural racism — a racism personified by the police force in Ferguson, Missouri. All of what I’ve said above has been better-articulated by others, I know. So, now, here is what will I hope be a more useful contribution to the conversation — an aggregation of resources for teaching about Ferguson. I’m sure this is incomplete. Please add your own in the comments, below, and I will do my best to add them to these links. 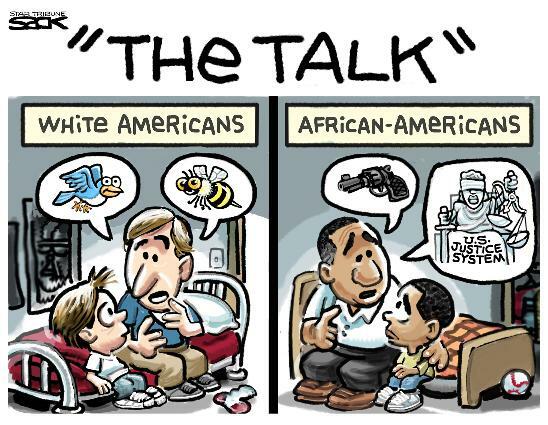 Storify #FergusonSyllabus, assembled by Neelofer Qadir (@_neelofer). Also check out the #FergusonSyllabus hashtag, started by Marcia Chatelain (@DrMChatelain) on Twitter. Teaching #Ferguson #sschat Resources, GoogleDocs document initiated & moderated by Dan Krutka (@dankrutka). Thanks to Shelley Krause (@butwait). “Understanding Ferguson: Resources on Protest, Nonviolent Resistance, and Civil Rights,” School Library Journal, 19 Aug. 2014. Katherine Mangan, “How Professors in St. Louis Are Teaching the Lessons of Ferguson’s Unrest.” The Chronicle of Higher Education. 26 Aug. 2014. “‘What We Want, What We Believe’: Teaching with the Black Panthers’ Ten Point Program.” Zinn Education Project. See, in particular, point no. 7 of the Ten Point Program. Rafranz Davis, “The Dehumanizing of Black Boys at School.” RafranDavis.com. 12 Aug. 2014. Children see and understand the overt and covert messages from grown-ups. Thanks to Elisabeth Ellington’s Dirigible Plum post. Rafranz Davis, “When Real Life Happens, The Lesson Plans Change.” RafranDavis.com. 15 Aug. 2014. Davis asks why we stick to the schedule: “Are these things more important than the murder of unarmed black kids? All of these things are more important than a country still plagued by racial divisiveness?” If you’re wondering whether to teach Ferguson, don’t wonder. Teach Ferguson. Thanks to Elisabeth Ellington’s Dirigible Plum post. Gerald Farinas, “Illinois school district suppresses kids’ discussions about Ferguson.” Chicago Phoenix. 28 Aug. 2014. “Edwardsville, Ill. schools superintendent Ed Hightower has directed that teachers should not discuss events in Ferguson and the death of Michael Brown in classrooms” — which, to me, suggests that Mr. Hightower should be removed from office and replaced with someone competent. Thanks to Julie Walker Danielson. Lottie L. Joiner, “How the Children of Birmingham Changed the Civil-Rights Movement.” The Daily Beast. 2 May 2013. Amanda Wills, “The Children of Ferguson, on the Front Lines.” Mashable. 20 Aug. 2014. Kelly Jensen (@catagator), “Ferguson, Race, Civil Rights, Social Activism, and YA Fiction: A Round-Up of Reading.” Stacked. 24 Aug. 2014. Great list that I discovered just after “finishing” this one. Left Bank Books’ #Ferguson — How We Got Here and #Ferguson – Links to articles, poems and other online content exploring race in contemporary America. Left Bank Books is a St. Louis bookstore. Thanks to Kelly Jensen’s Stacked post. Ferguson’s Literary History, Avidly/LA Review of Books. Anna Mae Duane, Brigitte Fielder, Glenn Hendler, Sarah Blackwood, and others offer suggestions. Storify #KidLitForJustice, assembled by Ebony Elizabeth Thomas (@ebonyteach), who you should really follow on Twitter. More children’s literature in the “Children’s & YA Lit” list below. Left Bank Books’ #Ferguson — How We Got Here and #Ferguson – Links to articles, poems and other online content exploring race in contemporary America. Left Bank Books is a St. Louis bookstore. This is also listed above under “Teaching” and below under “Children’s & YA Lit.” Thanks to Kelly Jensen’s Stacked post. Jason Low, “Thoughts on Ferguson and Recommended Resources.” Lee & Low Books. 21 Aug. 2014. Storify #KidLitForJustice, assembled by Ebony Elizabeth Thomas (@ebonyteach). Yes, I’ve mentioned this twice — it’s also in “Literature,” above. Kelly Jensen, “Black History in YA Fiction: A Time Line.” Book Riot. 5 Feb. 2014. Traces Black history in America through YA fiction. Great list and great visual. Thanks to Kelly Jensen’s Stacked post. Social Justice and Activism in YA Lit, at Rich in Color, 20 Aug. 2014. Zetta Elliott, “African American Fiction for Teens.” Fledgling. 7 Jan. 2014. A list of middle-grade and YA books. Thanks to Kelly Jensen’s Stacked post for reminding me of this list. “Understanding Ferguson: Resources on Protest, Nonviolent Resistance, and Civil Rights,” School Library Journal, 19 Aug. 2014. Another link that I’ve listed twice — it’s also in “Teaching Ferguson,” above. The murders in Ferguson and elsewhere of course exemplify why #WeNeedDiverseBooks. Back in March, I assembled many links on that subject in “‘The Boundaries of Imagination’; or, the All-White World of Children’s Books, 2014.” On the more broad subject of social justice in children’s literature, Julia Mickenberg and I wrote an article titled “Radical Children’s Literature Now!” (Nov. 2011) and co-edited a book, Tales for Little Rebels: A Collection of Radical Children’s Literature (2008). Kimberly Francisco, “Protagonists of Color in YA SFF.” Stacked. 20 Aug. 2014. Thanks to Elisabeth Ellington’s Dirigible Plum post. Robin Holland, “Open Season on Black Men.” Deeper Writing (and Reading) of the World. 15 Aug. 2015. Holland’s powerful response (in verse and prose), followed by writing prompts and suggestions of “books that may be helpful in the healing,” and “begin the necessary conversations.” Thanks to Elisabeth Ellington’s Dirigible Plum post. Susie Rodarme, “Reading Helped Me Overcome a Racist Upbringing.” Book Riot. 20 Aug. 2014. “Being a reader hasn’t cured me of all of the ill effects of growing up in a system that is fundamentally weighted toward white people and in a home where white supremacy wasn’t even attempted to be veiled. What has happened, what reading literature has been proven to help do, is that my empathy has increased. I’m able to see that, often, what I directly experience doesn’t reflect everyone’s reality. I’m able to see that my reality has blind spots and that I need to gain information through many different avenues.” A powerful testament to why #WeNeedDiverseBooks. Thanks to Kelly Jensen’s Stacked post. Left Bank Books, #Ferguson — How We Got Here and #Ferguson – Links to articles, poems and other online content exploring race in contemporary America. Left Bank Books is a St. Louis bookstore. This is also listed above under “Teaching” and “Literature.” It contains some Children’s & YA; you’ll need to sift through the list to see which ones. Thanks to Kelly Jensen’s Stacked post. Mathangi Subramanian, “Top 10 Picture Books for Young Activists in Training.” Nerdy Book Club. 9 Aug. 2014. A wide-ranging list. Thanks to Kelly Jensen’s Stacked post. Julie Walker Danielson, “Unpacking Perceptions with Kekla Magoon.” Kirkus Reviews. 29 Aug. 2014. Danielson talks with Magoon about her new novel, How It Went Down, inspired in part by the murders of Trayvon Martin and so many other young men of color. Sandy Brehl highlights a few good picture books here. 5 Feb. 2012. Thanks to Sandy Brehl. Steve Sack, “The Talk.” Editorial cartoon. Minneapolis Star-Tribune. 16 July 2013. This is an older editorial cartoon (from 2013), but it’s just as pertinent now. Dave Granlund, “Ferguson, Missouri police training.” Editorial cartoon. Cagle.com. 13 Aug. 2014. 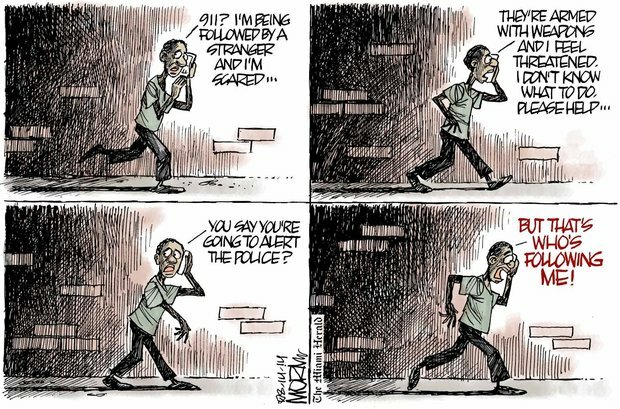 Jim Morin, “911? I’m being followed by a stranger, and I’m scared….” Editorial cartoon. Miami Herald. 14 Aug. 2014. 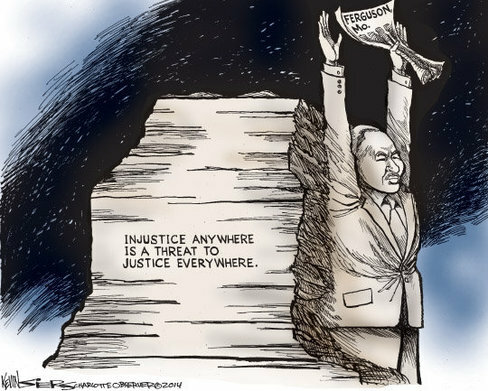 Kevin Siers, “Injustice Anywhere Is a Threat to Justice Everywhere.” Editorial cartoon. Charlotte Observer. 14 Aug. 2014. 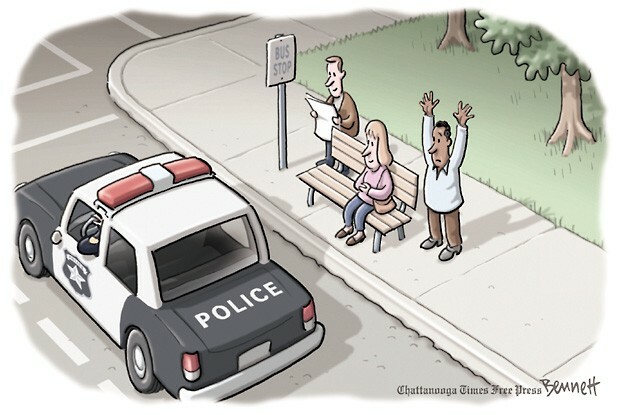 Clay Bennett, “Community Relations.” Editorial cartoon. Chattanooga Times Free Press. 15 Aug. 2014. Jack Ohman, “Ferguson Police! Freeze!! !” Editorial cartoon. Sacramento Bee, 15 Aug. 2014. Patrick Chappatte, “You Have the Right to Remain Silent, Underrepresented, and Poor.” Editorial cartoon. The New York Times. 19 Aug. 2014. Taylor Jones, “Ferguson — a moment’s pause.” Editorial cartoon. Cagle.com. 20 Aug. 2014. 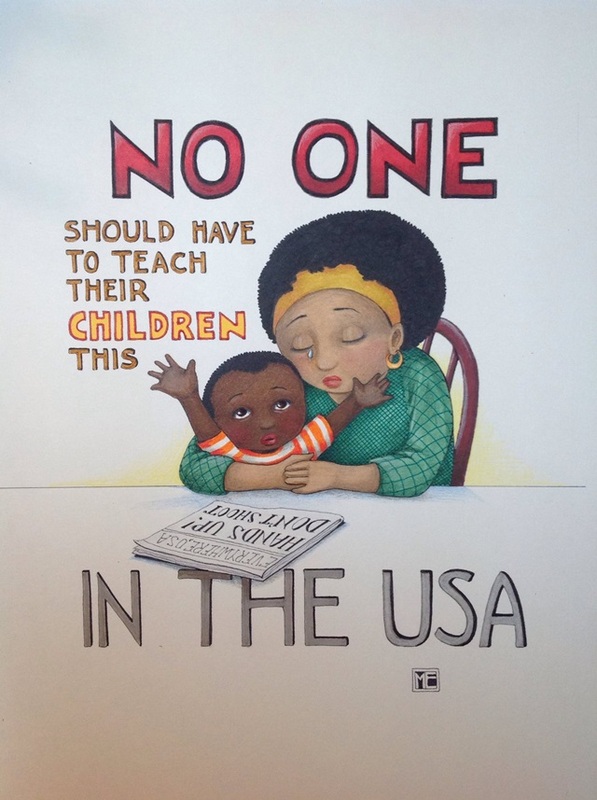 Ben Davis, “Beloved Illustrator Blasted by Fans Over Ferguson Artwork.” ArtNet News. 21 Aug. 2014. Mary Engelbreit’s In the USA (2014) — her response to Ferguson and fundraiser for the Michael Brown Jr. Memorial Fund — faces “racist conspiracy theories” and other sorts of ignorant comments. For more on this, see Erica Smith’s “Ferguson Events Inspire Artist Mary Engelbreit” (St. Louis Public Radio, 22 Aug. 2014), and Diana Reese’s “Michael Brown’s mother inspires controversial artwork by Mary Engelbreit” (Washington Post, 25 Aug. 2014). R.J. Matson, “St. Louis Gateway Arch.” Editorial cartoon. Cagle.com. 21 Aug. 2014. Ruth Tam, “Artists protest through song in the wake of Ferguson shooting.” PBS NewsHour. 22 Aug. 2014. The Ferguson “Before I Die” Art Project. KSDK.com. 24 Aug. 2014. Ben Sargent, “Still Two Americas.” Go! Comics. 26 Aug. 2014. Donna Barry and Heidi Williamson, “In Ferguson and the Entire Nation, Institutional Racism Extends Far Beyond Law Enforcement.” The Root 28 Aug. 2014. Keith Boykin, “Does the Second Amendment Only Apply to White People?” Huffington Post. 13 Aug. 2014. Ta-Nehisi Coates, “Reparations for Ferguson.” The Atlantic. 18 Aug. 2014. “The destroyers of your body will rarely be held accountable. Mostly they will receive pensions.” If you haven’t read Coates’ “The Case for Reparations” (The Atlantic, 21 May 2014), read it now. It’s long but well worth your while. Michael Daly, “The Day Ferguson Police Were Caught in a Bloody Lie.” U.S. News/The Daily Beast 15 Aug. 2014. One example of the Ferguson police’s history of lies and racism. Ezekiel Kweku, “The Parable of the Unjust Judge or: Fear of a N*****r Nation.” The Toast. 27 Aug. 2014. “Black people have long been conscious of the fact that the police are not our allies, and it is beyond time for us to realize that the state it protects is not our ally, either. The machine of state was not designed to serve and protect blacks, it was designed to control them and confiscate from them.” Thanks to Kate Slater. Kia Makarechi, “Besides Michael Brown, Whom Else Does the New York Times Call ‘No Angel’?” Vanity Fair. 25 Aug. 2014. “[W]hen looking at the paper’s usage of the phrase when describing people of note, a pattern emerges. ‘No angel’ seems to most commonly describe either hardened white criminals, or men of color.” Thanks to Libby. John Oliver, “Ferguson, MO, and Police Militarization.” Last Week Tonight with John Oliver. HBO, 17 Aug. 2014. 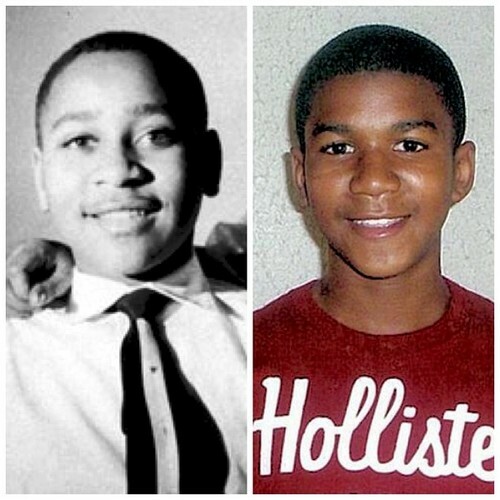 Jesse Washington, “Trayvon Martin, My Son, and the Black Male Code.” Huffington Post. 24 March 2012. Not on Ferguson in particular but on the separate-but-unequal treatment of young black men: “Across the country this week, parents were talking to their children, especially their black sons, about the Code. It’s a talk the black community has passed down for generations, an evolving oral tradition from the days when an errant remark could easily cost black people their job, their freedom, or sometimes their life.” Thanks to Sarah Park Dahlen. 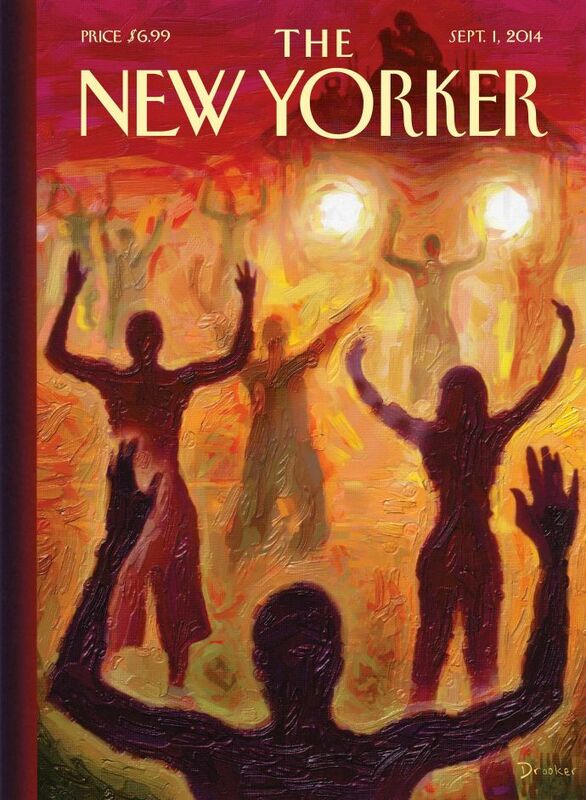 “Q&A: What Happened in Ferguson?” New York Times, 13 Aug. 2014-22 Aug. 2014. Mapping Decline: St. Louis and the American City. Thanks to Sophylou, who has also assembled a few links (including this one). Yesha Callahan, “#IfTheyGunnedMeDown Shows How Black People Are Portrayed in Mainstream Media.” The Root. 11 Aug. 2014. On the #IfTheyGunnedMeDown hashtag. Tanzina Vega, “Shooting Spurs Hashtag Effort on Stereotypes.” New York Times. 12 Aug. 2014. On the #IfTheyGunnedMeDown hashtag. Nathaniel Downes, “Ferguson Police Dispatches Destroyed as Anonymous Shares Dispatch Recordings.” Addicting Info. 15 Aug. 2014. Brian Ries, “This Person Live-Tweeted Michael Brown’s Killing.” Mashable. 15 Aug. 2014. A collection of St. Louis rapper @TheePharoah‘s eyewitness tweets, starting at 12:03 pm on 9 Aug. 2014. “Mike Brown: Facts and Dog Whistles.” Jonathan Korner (@miniver) creates a Storify of @ShaunKing‘s run-down of the facts. 17 Aug. 2014. “Amnesty International USA Calls for Investigation of Police Tactics in Ferguson.” Amnesty International. 18 Aug. 2014. “U.N. Calls for Protection of Rights in Missouri Protests.” Reuters. 18 Aug. 2014. Storify: Fact or Fiction? 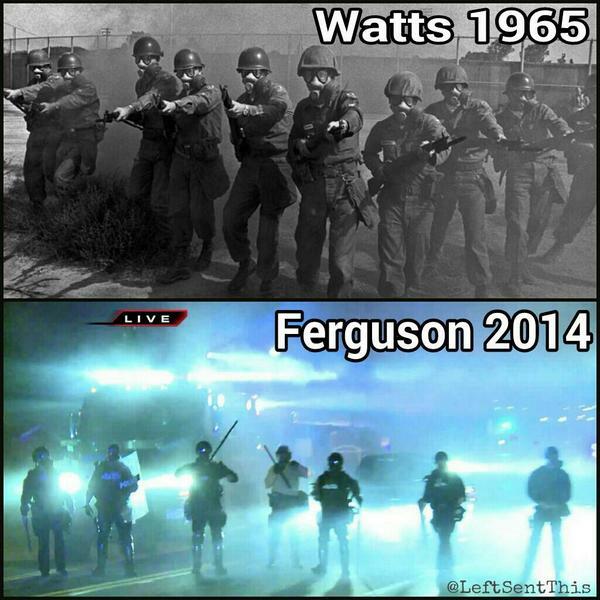 Five Myths and Memes About #Ferguson by The Stream (@AJAMStream). 20 Aug. 2014. Julie Bosman and Joseph Goldstein, “Timeline for a Body: 4 Hours in the Middle of a Ferguson Street.” New York Times, 23 Aug. 2014. 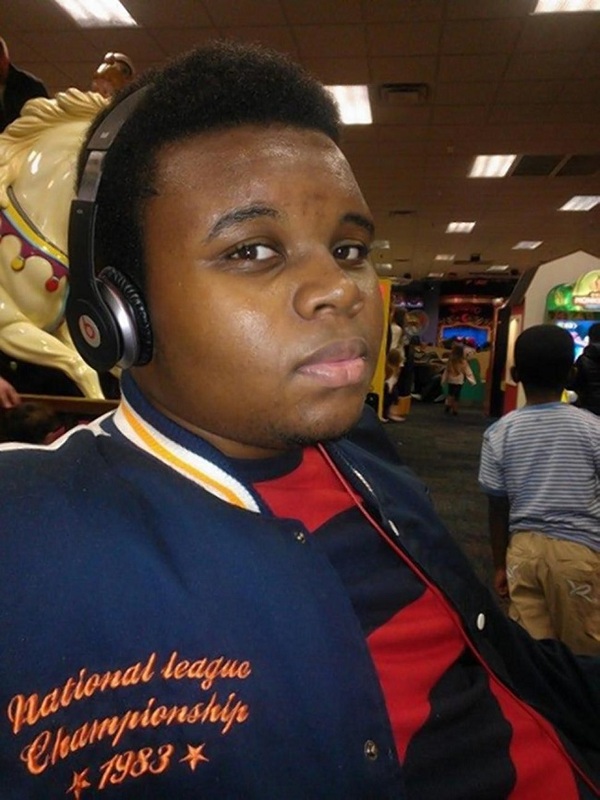 John Eligon, “Michael Brown Spent Last Weeks Grappling With Problems and Promise.” New York Times. 24 Aug. 2014. Contains the widely criticized “no angel” line. See Kia Makarechi’s Vanity Fair piece, the #NoAngel hashtag (Twitter), and the MichaelBrownsCrime tumblr. Appoint a Special Prosecutor to Investigate the Murder of Michael Brown. MoveOn.org. Color of Change’s Justice for Mike Brown campaign. NAACP’s Justice for Michael Brown campaign. Kate Harding, “Ten Things White People Can Do About Ferguson Besides Tweet.” Dame Magazine. 14 Aug. 2014. Thanks to Elisabeth Ellington’s Dirigible Plum post. The MichaelBrownsCrime tumblr asks: “Were you #NoAngel?” White people post photos of themselves & their crimes at the age of 18 (and the complete inattention of the police). As the site’s creator says, “Some of us stole from convenience stores, some of us experimented with drugs and alcohol, and some of us got punished more than others.The truth is that the consequences we face–or don’t face–depend on the color of our skin, where we live and how much money we have. This is unjust. And we’re sick of it.” Thanks to Ebony Elizabeth Thomas. Thanks to everyone who has shared links via Facebook and Twitter. I’d not have found half of these links without you all. Update, 3:10 pm, 31 Aug: Added a short, smart response by Robin Bernstein (@RobinMBernstein), and a cartoon by Ben Sargent. Update, 9:00 pm, 27 Aug: With thanks to Libby Gruner, added Kia Makarechi’s Vanity Fair piece. Also added a few other pieces, many of which are thanks to Ebony Elizabeth Thomas (@Ebonyteach), who — as I note above — is someone you really ought to follow on Twitter (though I think I actually found these pieces [Adam Serwer’s “Eighty Years of Fergusons” & Shaun R. Harper’s “Race Lessons from Ferguson: Back to School, Not Back to Normal.”] via her Facebook feed). Update, 8:00 pm, 26 Aug: Added the Mary Engelbreit artwork (in “Children’s & YA” section), and a link to related news stories (under “Art”). Update, 2:40 pm, 26 Aug: Added resources from Sarah Park Dahlen (SarahPark.com), Sophylou (True Stories Backward), Sandy Brehl (@PBWorkshop), & one or two others. Update, 10:30 am, 25 Aug: I’ve added resources culled from Kelly Jensen’s Stacked post, and from Elisabeth Ellington’s Dirigible Plum post. Update, 10:45 pm, 24 Aug: I will add, tomorrow, some great links from Kelly Jensen’s Stacked post, and from Elisabeth Ellington’s Dirigible Plum post. I’ve added a few other links. Yes to everything you’ve said, Phil. I was away during the Ferguson tragedy and also on a newsbreak. I can hardly bear it all any more. But you’ve taken positive action by providing all these resources, and that’s what we all need to be doing as best we can. Act. Stand up and be counted. As usual. I also think that from the second Obama was elected, the Republicans decided that they would block absolutely everything he tried to do, which they have. And if that isn’t racism, I don’t know what is. I’ve also been directing people to Colin Gordon’s digital mapping project Mapping Decline: St. Louis and the American City, which tracks such factors as white flight, race and property, municipal zoning, and urban renewal across St. Louis City and St. Louis County from 1940-2000 nominally, though the maps application goes up to 2010. This gives some broader historical background on the changing conditions of north St. Louis County, including Ferguson, over these decades. Thank you, Phil, for sharing your thoughts and for the time you took to compile this resource list. While not directly about Ferguson, it does speak about our racialized criminal justice system.